Let’s face it: fossil fuels have been the major driver of human’s progress during the past century. How would you be able to drive your car, take a plane or heat your house ? Fossil fuels make the world turn around, and with 86% of our energy needs met with fossil fuels, we can’t deny that human population is entirely reliant on coal, oil and gas to meet its energy appetite. So what are Fossil Fuels exactly? Fuels can be defined simply by any material, capable of storing potential energy for a period of time, and at the same time, capable of releasing the stored energy in form of heat and light, when certain conditions exists. Fuels that have been formed from the fossilized remains of prehistoric plants and animals are called fossil fuels. 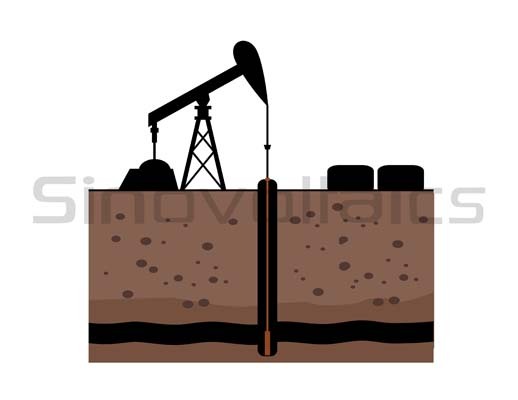 How can Energy Resources be classified? These energy resources are naturally replenished and can be renewed again and again. Examples includes Geothermal Energy, Hydropower, Solar energy, Wind Energy and Tidal Energy. These resources, as their name suggests, cannot be renewed again if exhausted. Examples include Coal, Oil, Natural Gas, Nuclear Energy, wood (If not replanted), petrochemicals and others. Fossil fuels fall under the umbrella of non-renewable energy resources and hence, cannot be reproduced if exhausted. Even though they are present in large quantities, all over the earth, they are still limited in quantity and should therefore be consumed thoughtfully. Unfortunately we’re consuming fossil fuels as if there’s no tomorrow..
Coal, Oil, Natural Gas are some of the major examples of fossil fuels. Coal is a hard, black colored rock-like substance made up of carbon, hydrogen, oxygen, nitrogen and varying amount of sulfur. Coal contributes to around 35% of the total energy produced in world. Oil was formed from the remains of sea animals that died millions of years ago. Oil is made up of hydrogen and carbon atoms. Oil contributes to around 23% of the total energy produced in the world. Natural Gas was formed from the remains of sea animals that died many years ago; the gas formed was trapped in the rocks under sea. Natural Gas contributes to around 21% of the total energy produced in world. From these numbers, it is quite evident that most of the present day energy demand is met by consuming fossil fuels. In fact, almost 86% of the global demand is met by fossil fuels; another 8% is met by nuclear energy and the remaining 6% is met by renewable sources of energy. Cheap to mine and convert into energy. When fossil fuels are burnt in excess amount they give rise to the emission of greenhouse gas (CO2). Greenhouse gasses make the earth absorb more heat and therefore increasing the earth`s temperature above normal. This effect is called Greenhouse effect. When oil is drilled from oceans, there are chances of oil spills which could affect the aquatic life in ocean. There have been numerous occasions of spills in the recent history. Fossil fuels also give birth to pollution which not only effect humans but the aquatic life too if drained into rivers. When burned fossil fuels emit toxic substances, including sulfur dioxide gas which gives rise to acid rain. Even though the production of Si solar cells does pollute, the overall greenhouse emissions are irrelevant seen the amount of power produced over the 25 years lifetime of a pv module. Solar panels do not pollute and can be recycled after its lifetime. Solar energy is completely clean during its usage and doesn’t pollute aquatic life nor rivers. Fossil fuels are currently our cheapest sources of energy capable of meeting the current demand today. My generation is going to face a lack of fossil fuels due to increased demand and limited availability during the next few decades. No need to say the development of affordable, renewable energy sources is of vital importance for anyone.